The January meeting of the North Mississippi Gem and Mineral Society will be on Saturday, January 12, 2019 at the Tupelo library from 1-3pm. 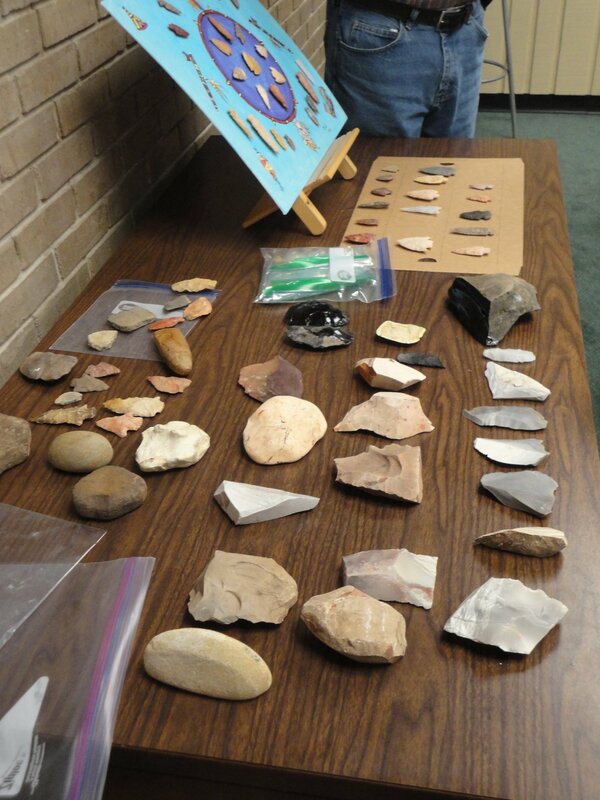 The program will be a flint knapping demonstration given by NMGMS member Randy Burleson. Flint knapping is an ancient lapidary art, so this program will be very exciting and informative. Come join us and watch the chips fly! Refreshments are “pot luck”, so members are asked to bring something. Just a reminder to let you know that I will have the museum loan sheets at the meeting this coming Saturday. If you have any rocks, minerals, or fossils from around the USA, please consider loaning a few for our museum display. Hope we can get all 50! Can also take them at the February meeting. Here are a couple of links to a list of rocks and minerals by state.